Do you know certain of your employees really well and others not so much? Are there certain of your employees who you just can not understand who they are? How many of your management team know the employees who work WITH them? How much would your turnover go down if 10% of your management people did this? 20%? 40%? 80%? 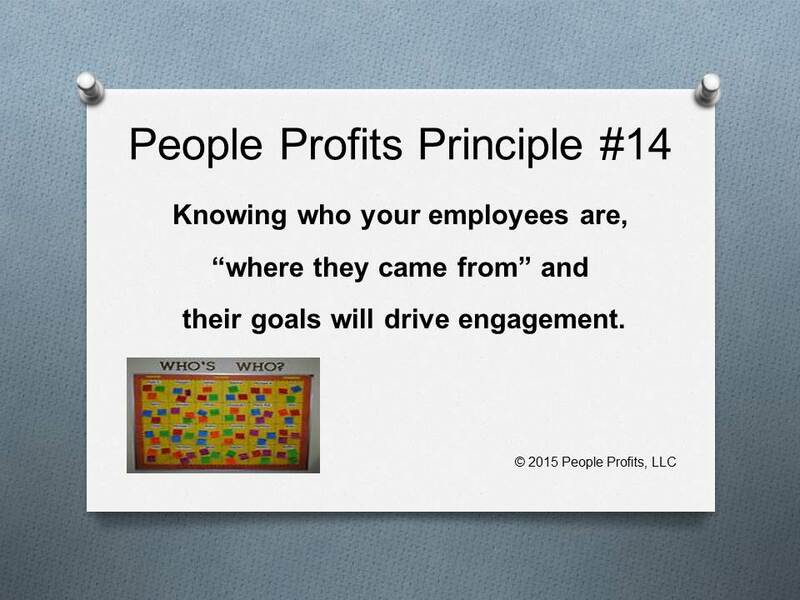 People Profits sees employers spending lots of time and money on "engagement activities" - however they are missing the first and most important step in the process. Supervisors should own this responsibility - sincerely each and every day.